was working on my forum in admin when suddenly 'this' happened. I have no idea what I did ...if anything. So have no clue how to fix it. No matter what I try, it won't go back to my old forum look. Can I get specific help on this? Click on the menu and choose full site instead of mobile view. It should be in the menu icon top of screen. Thanks for the quick reply... I did try that and nothing happened. But it was in my Theme settings somewhere, upon fiddling there, SUDDENLY everything was normal again. (and again I have no idea what I did...lol) Maybe I won't fiddle there anymore. I am having some odd problems though with a few other things. For instance, at my site and "HERE in this forum," I cannot get ANY of the BBCodes to work. Nor Smileys. If I click on a Smiley nothing happens. (even here.) And when I try to underline or make a line of text bold with the BBCode boxes nothing happens there either. it's as if I wasn't doing anything when I obviously am clicking them...it's like they're just dead. Both Smileys and the BBCode boxes are checked in my admin console... so what could be up? And besides... they're not working HERE in this forum either and surely you guys have them turned on here. I can't figure it. I'd put a frownie face up here...but I can't. G'ah! Can you take a screenshot do you see the smilies and bbc buttons? yes.. the BBCode buttons are visible, and the smileys are too... but simply they don't seem to be activated... even though they are definitely turned on inside my controls. I click them with a mouse and 'nothing' happens. If I highlight a sentence then try to make it bold or change it's color or make it big ...or add a smiley.... NOTHING. It's crazy. This is from my face book page...hope you can see it. This is a very troublesome problem...and really if my 'soon to be' site members can't access the smileys and BBCode it's going to be a deal breaker for them (and the popularity of my site.) Very concerned. Will run some tests haven't heard of issues with edge will see what I can find out. Hopefully there's a simple solution or quick and easy fix. Seems to work on my end. I want to see if it happens there as well. How can i change to curved blue fades at the top of the page to solid white? Hi I'm having a problem with my 'Light Blue' style on my forum. 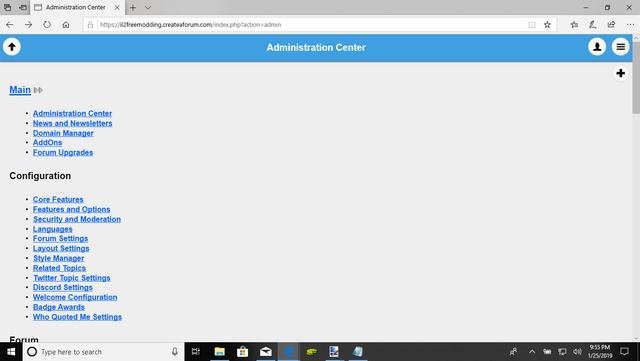 How to remove blank header and footer in Light Blue Theme? Repost - How to remove blank header and footer in Light Blue Theme?